We are taught in U.S. schools that Christopher Columbus “discovered” America in 1492. We are taught that he was an Italian from the city of Genoa. We are taught that he was embarking on finding a trade route to India to obtain riches as described by Marco Polo. We are even taught that he got lost, thinking he was in India where Polo allegedly went. The goal of this paper is to debunk the aforementioned myths. Christopher Columbus is an interesting character. He has become a legend. In my estimation, he is the personification of America, more so than George Washington is. 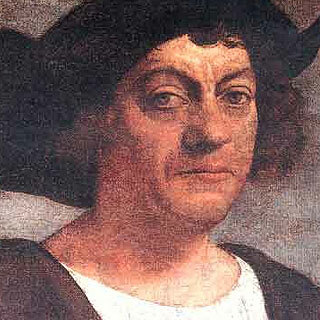 Christopher Columbus was not Italian. He was a Spaniard. And I am of the firm persuasion that he was also a Jew. He was born Cristobal Colon (and according to research, he never spoke or wrote Italian). He was a fluent speaker of Castilian Spanish or Castellano. With this fluency in Spanish, he moved with ease and accessibility in the highest circles of the Spanish court, thus establishing powerfully knit connections. He was the son of Susanna Fontanarossa [alternatively spelled Fonterosa] and Domingo Pontevedra. Both of these surnames were characteristically Jewish in medieval Spain. It is suggested that his parents were Marranos, or secret Jews. The historical record validates this claim. It is written by Henry L. Golden and Martin Rywell, in Jews in American History: Their Contribution to the United States of America, that his lineage pointed to Jewish roots—the record indicated that his mother Susanna Fonterosa was the “daughter of Jacob, granddaughter of Abraham and a Jewess.” His father Domingo Pontevedra-Colon was a map seller. It is believed that they had escaped from Spain to Genoa during one of the pogroms, or Jewish expulsions from Spain. Jews had had been expelled from European communities from as early as 1012 from Mainz up until 1891 from Moscow. The Jews had been expelled from Spain in 1492. This date is key which will be developed later in this paper. George Cohen in his text, The Jew in the Making of America, states, “Not jewels, but Jews, were the real financial basis for the first expedition of Columbus.” The background of Columbus’ association with Jewish bankers is rather intriguing. When Columbus first plotted his course, he used charts prepared by Judah Creques, curiously known as “the map Jew.” He was head of the Portuguese School of Navigation in Lisbon. The almanacs and astronomical tables gathered for the voyage were assembled by Abraham ben Zacuto, a professor at the University of Salamanca. It was Zacuto who introduced Columbus to Don Issac Abravanel, a prominent Jewish banker, who was one of the first to offer Columbus financial backing. Christopher Columbus had been financed by other wealthy Jewish merchants directly and indirectly through monies donated or confiscated through them. Three Marranos (secret or crypto-Jews) Luis de Santangel (or Santangelo), Gabriel Sanchez, and Juan Cabrero influenced Queen Isabella to help him finance the voyage. Columbus mentioned de Santangel particularly in his diary that he made a substantial loan to him for the purpose of exploration. Luis de Santangel, along with Cabrero invested 17,000 ducats, which would be equivalent to over $100,000 today. Luis de Santangel was chancellor of the royal household and controller general of Aragon, an autonomous community located in northeastern Spain. This was a very influential and well-connected bunch, to say the least. The famous Jewish Nazi hunter Simon Wiesenthal was convinced that, “the Jews, concerned about their deterioration in Spain, were looking for a homeland, a place to flee to, where they could find a protector. And so, in belief that the ten lost tribes had found refuge in ‘India,’ they financed the expedition of Columbus: a man they could trust.” They trusted him because he was Jewish. Jews are very reserved about trusting a “non-Jew”, especially with the future of their posterity. Wiesenthal also asserts that Columbus was surely a Converso [a convert from Judaism to Christianity] and quite likely a Marrano [a convert to Christianity who secretly remained Jewish]. History also teaches us Columbus was an experienced sailor long before his infamous voyage West. In the course of his letters, writes Sir Arthur Helps, “[Columbus] speaks after the fashion of a practised slave dealer.” In fact, the day after the Spanish expulsion in 1492, Columbus took a group of Jewish refugees to the New World. This validates Wiesenthal’s claim of the Jews gathering around Columbus for the purpose of seeking a homeland outside of Europe. The three ships he sailed with were La Nina, Pinta, y Santa Maria. Before Columbus set sail for America, African explorers had reached its shores before he did. These explorers reached Panama in the year 1310. Columbus followed the same route taken by Abu-Bari II of Mali in 1310. The African traders visiting the Americas told Columbus that they were called Indies. This sheds some light on the legendary story of Christopher Columbus “accidently” arriving in the Americas thinking he was India and calling the Natives “Indians.” Based on this pertinent information, I must conclude that Columbus knew where he was headed and he called the natives “Indians” based on the account of the Africans calling the so-called “New World” the “Indies.” The whole “accident” story is a gross fabrication of the facts. It is an inconceivable invention! The modern school textbook does not even mention anymore the story of Columbus thinking he was in India. There is more than meets the eye regarding Columbus. Ironically, his pilots Nuflo de Olano, Alfonso Nino, and the navigator Estevanico were of African origin, perhaps even Sephardic Jews. More than likely their descendants came to Spain by way of the Moorish invasion of Spain in 711 overrunning the then ruling Visigoths. The Moors were from North Africa in what is now Mauritania, Morocco, and other parts of the Northern strip of the African continent. In addition to Columbus being Jewish, he was also a slave dealer and murderer. In 1498, he brought back 600 Indians as slaves to Spain from a five-ship expedition. Columbus was no ignorant fool. He was out for money and power and quite sadly a Jewish pawn caught up in a debacle of political intrigue. The author would like to acknowledge and credit the invaluable research efforts of The Nation of Islam, Jose V. Malcioln, Stephen Birmingham, and the anonymous author of the 2,000 page online text When Victims Rule: A Critique of Jewish Preeminence in America, without which this report could not be written. excellent article Neyo. Thanks for the link here Susan, bookmarked for further enjoyment of this good blog.